Microsoft has announced that its Nokia Lumia 530 smartphone will be on sale in the UK from September 4 from a range of retailers and operators. Announced last month, the device has a 4-inch FWVGA display, 1.2GHz quad-core processor, 4GB of storage (with microSD card support up to 128GB) and a 5-megapixel camera on the rear. It’s also one of the first of Microsoft’s devices to arrive running the updated Windows Phone 8.1 operating system, which means it has the new features like the Action Center and support for a more customizable home screen and wallpapers. 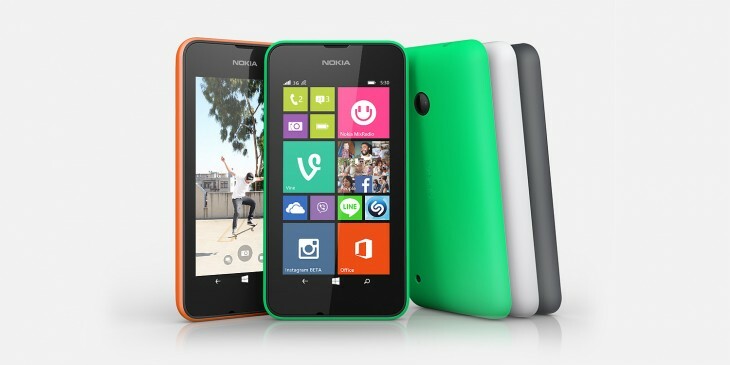 While each operator and retailer (EE, Vodafone, O2, Three, Phones 4u and Carphone Warehouse) tends to offer its own deals on handsets, Microsoft said the Lumia 530 will be available in a range of colours (bright orange, bright green and dark grey) and will be available from just £60.